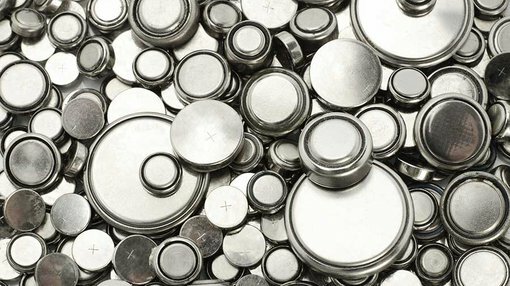 Lithium and graphite explorer Ardiden (ASX: ADV) has increased its leverage to lithium after entering into an option agreement to acquire 100% of the Wisa Lake lithium project in Ontario, Canada. The project is located 80 kilometres east of the border town of Fort Francis, only 8 kilometres north of the Minnesota US border. The other Canadian based assets in ADV’s portfolio are Seymour Lake, Root Lake and Root Bay. The map below provides an indication of the proximity of the projects. In 1958, Lexindin Gold Mines reported a historical resource of 330,000 tonnes of lithium dioxide grading 1.15% from a zone representing less than 5% of the Wisa Lake area. While the resource estimate is not significant in terms of accurately valuing the asset given that it is not JORC 2012 compliant, it could be argued that it is still relevant in terms of demonstrating the presence of lithium related mineralisation in the area tested. 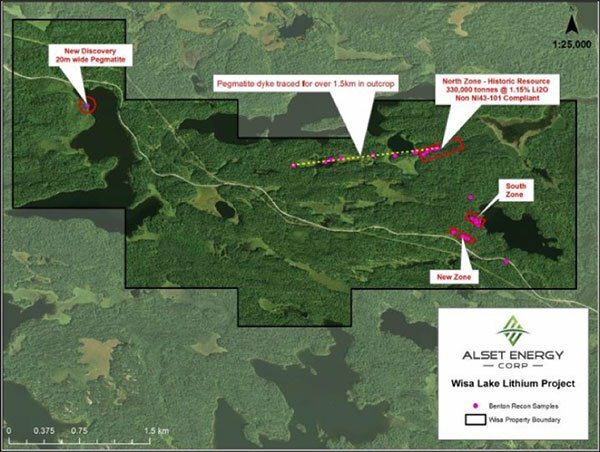 More recently a mapping and sampling field program was conducted by Alset Energy Corporation, which obtained spodumene samples from various pegmatite exposures with grades up to 6.38% lithium dioxide reported. 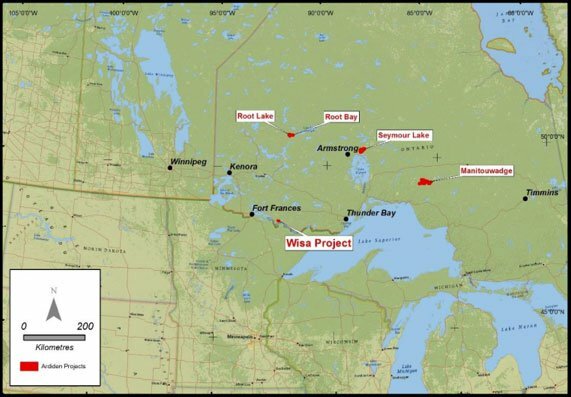 The Wisa Lake project has several spodumene bearing pegmatite dykes, and the main pegmatite has recently been traced at surface for a strike length of 1.5 kilometres with widths up to 20 metres. However, potential investors should note that ADV is an early stage exploration company and independent financial advice should be sought if considering this stock as an investment. As indicated below, one dyke was located 100 metres south of the South Zone pegmatite and a further pegmatite exposure was mapped approximately 3 kilometres to the west of the historical deposit in the North Zone pegmatite. In summing up these latest developments, management said, “The proposed acquisition is consistent with Ardiden’s strategy of acquiring commodity projects located in Tier-1 jurisdictions with exposure to structural and transformational change and outstanding market fundamentals such as those required to supply the rapidly growing lithium-ion battery sector”. ADV intends to immediately commence a full review of the historical drilling, sampling and metallurgical data (if applicable) at the project and then undertake a further geological exploration, potentially including but not limited to, surface sampling soil surveys and further drilling. Consequently, newsflow relating to this project could be expected in the first half of 2017.